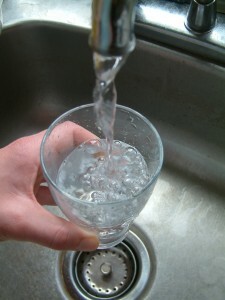 A home water filtration system can make a noticeable difference in the quality of the water in your Dallas, TX, home. However, you can’t simply choose the first filter you come across and hope for the best. Because many different factors can influence your water’s composition, it’s important to find a filter that’s the right fit for your specific situation. At RainSoft, we understand that subtle nuances in product design can make a big difference in results, so we’ll help you select a whole house filtration system to meet your specific needs. When you reach out to RainSoft, you’ll be connected with an authorized dealer near your home in Dallas or one of the nearby DFW suburbs. You’ll be able to schedule a convenient in-home water test, which your RainSoft dealer will perform at no cost to you. This comprehensive analysis will help us get a complete understanding of what’s in your water (and in what concentrations), so that we can recommend the filter that’ll be able to provide you with the results you’re looking for. Built to last for life, and backed by a Limited Lifetime Warranty for even more peace of mind. When you’re ready to get started, just contact your local authorized RainSoft dealer. We’re here to help you find the perfect home water filtration system for your Dallas, Texas, home.